Wind energy became the number one source of new American electrical generation for the first time in 2012. During the year it grew to represent 43 percent of all new electrical addition in the U.S., as well as a $25 billion investment. The industry is booming and many people are getting behind it. According to a March 2013 Gallup poll, 71 percent of Americans are in favor of greater emphasis on wind energy production. With so much support you might wonder what factors are keeping the other 29 percent from jumping on board the wind energy bandwagon. Let’s take a look at the issues that have people concerned about wind energy. One of the biggest environmental concerns regarding wind turbines is the effect they have on wildlife. Because these massive blades rotate in the air, they have the potential to disrupt flight patterns for birds and bats, ultimately killing these creatures. Some report that as many as 440,000 birds are killed by wind turbines in the United States, according to The Guardian. In addition to the turbine blades killing birds and bats, the structures can disrupt wildlife habitats for animals on the ground. Despite concerns, the EPA says the number of birds killed by wind turbines is actually less than those killed by other structures, including vehicles, buildings, power lines and communication towers. Furthermore, new study from the New York State Energy Research and Development Authority has found that fossil fuel electricity generation is actually more harmful for wildlife than wind turbines. Animals are killed every day by the emissions caused by the burning of coal and oil. And to top it off, birds and bats fly into oil platforms and cooling towers as well. For many, being green is about respecting the environment. While many eco-friendly enthusiasts appreciate the renewable energy generated by wind farms, many feel the structures themselves take away from the beauty of the natural environment. You see, wind turbines are massive. Some turbines can stretch beyond 400 feet tall, with blades that circulate with a span as big as a Ferris wheel. Since some of the windiest areas happen to be near oceans and mountains, the structures can block out some beautiful views. In turn, these structures can hamper tourism and economic growth in these areas. Wind turbines may offer clean energy, but some believe that benefit is offset by the structures’ noise pollution. 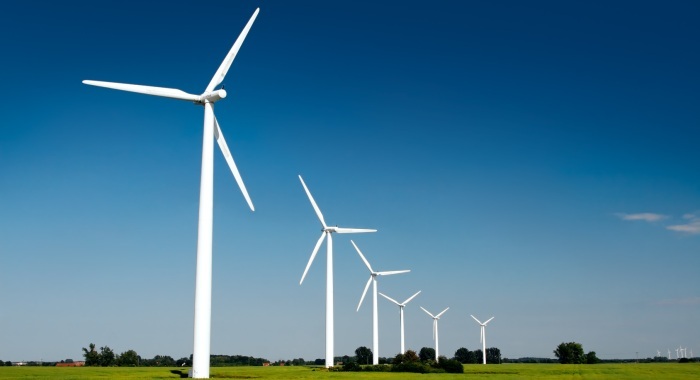 Turbines emit a low-frequency noise as they churn wind into renewable energy. According to the U.S. Environmental Protection Agency, a wind turbine that’s 350 meters away produces a noise that is 35 to 45 decibels, about as loud as running a refrigerator. Of course this noise increases the closer you get and decreases as you move farther away. Furthermore, as engineers improve in the design of wind turbines, the noise the structures emit should diminish. In most cases, turbine noise does not create much of an issue, except for those who live in close proximity to the structures. Both noise pollution and aesthetics play a big role in the value of someone’s property. Whether it’s a farm or a residential neighborhood, the introduction of nearby wind turbines could depreciate property values and turn potential buyers away.